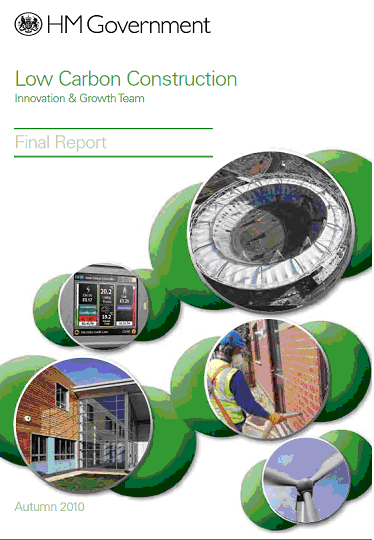 December | 2010 | BSRIA Blog - Opinions and insights from BSRIA Limited. Some of us at BSRIA have been talking enthusiastically about Building Information Modelling (BIM) for a while now…industry is asking for change (see BIM 2010 below), and the IGT now proposes to do something about it. “Recommendation 3.11. That the industry should work, through a collective forum, to identify when the use of BIM is appropriate (in terms of the type or scale of the project), what the barriers to its more widespread take-up are, and how these barriers might be surpassed, leading to an outline protocol for future ways of working. BSRIA (alongside other organisers and sponsors) ran BIM 2010 on 2nd November at the Barbican London – by all accounts a successful gathering of c100 people, with high profile speakers including Paul Morrell. Everyone had the chance to discuss and vote on key issues (BSRIA has published speaker presentations and PDF of the results). Most delegates familiar with BIM were aged 41-50 (40%), and the least familiar were the youngest delegates (under 30s). The 51+ delegates were more strongly split, with 25% ‘strongly agreeing’, and 46% ‘strongly disagreeing’ about being familiar with BIM. 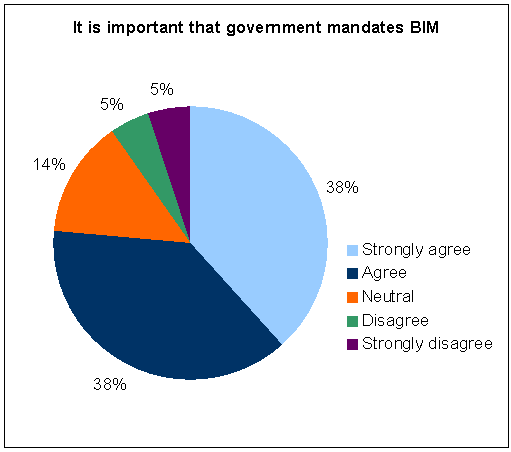 Here’s what they said about mandating BIM: The audience seemed less sure about whether BIM should be required in submissions to building regs and other statutory duties: 12% strongly agreed, 34% agreed, but 35% were neutral. Show me the money. 58% felt that it was ‘very likely’ that their organisation would invest in BIM. 15% also agreed, and 17% were neutral. There was a minority who felt that they were unlikely 5% or very unlikely 5% to invest. 46% of delegates also strongly agreed that ‘my organisation would find BIM training valuable’. 56% delegates agreed that ‘current contracts are not easily translatable for BIM‘, with 38% ‘agreeing’ that ‘uncertainties over ownership of the model will limit the uptake of BIM’ – only 4% ‘strongly disagreed’ with this statement. In answer to the question ‘who should own the model?‘, most believed this should be the client, closely followed by the team. Most delegates agreed 41% or strongly agreed 39% that to influence greater uptake from clients it is important that BIM delivers electronic O&M manuals. 57% also strongly agreed or agreed 30% that we need more good UK case studies to influence greater uptake from clients. We’ve also published charts in the Process and Operational Efficiency Group via the MBE Knowledge Transfer Network (you may need to register with the site, but it’s free membership).